This article in a blog on African Intellectual Property concerns summarizes one aspect of a report to the Human Rights Council in Geneva in 2015. This resource, while written from the perspective of economists, explores how intellectual property laws (and historically uneven enforcement of the laws) have increased the divide between developing countries and wealthy, industrialized developed countries. That said, for a thoughtful survey of how the commons, cultural and otherwise, might thrive inside of, or along with, with current conditions I recommend Peter Barnes’s book, Capitalism 3.0: A Guide to Reclaiming the Commons. One of Barnes’s points is that our debates about the future often imagine only two actors: the government and private business. Barnes suggests a third set, common property trusts (as, for example, the kind of land trusts devised by the Nature Conservancy). There is much to say about common property trusts but for now the point is simply that we already have a mix of cultural modes and should continue to have them going forward with, I hope, the commons recognized and strengthened. One of the areas I find challenging in addressing Creative Commons culture is how Creative Commons relates to capitalistic culture (or rejects it). Creative Commons can be compatible with open market, but it can also challenge some of the fundamental tenants of it. Throughout the units, as I tried to imagine applications of Creative Commons, or making licensing decisions as a creative and academic, I found that I had questions about artists and how they can earn a living in this model, and how this model supported and challenged my role as a librarian in academe. Spurious samples in deep generative models: bug or feature? 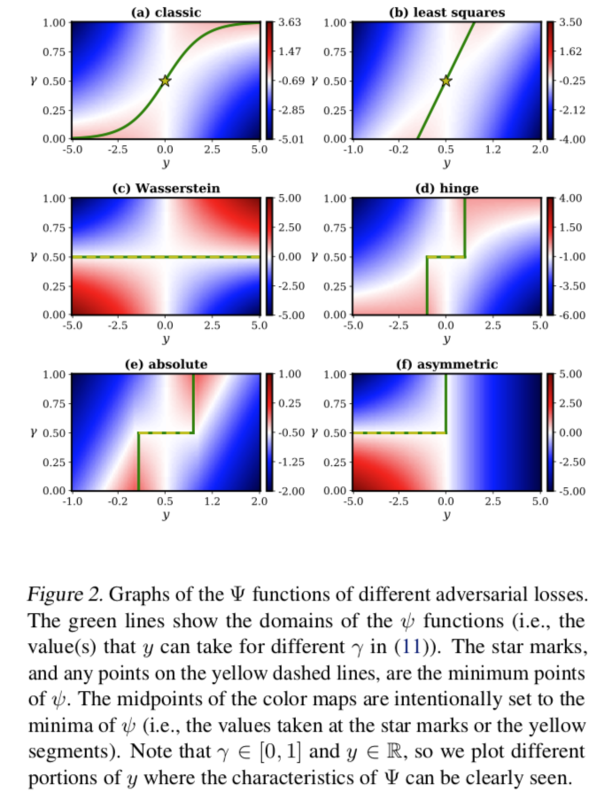 The researchers found that defenses against adversarial examples commonly use obfuscated gradients, which create a false sense of security but, in fact, can be easily circumvented. The study describes three ways in which defenses obfuscate gradients and shows which techniques can circumvent the defenses. The findings can help organizations that use defenses relying on obfuscated gradients to fortify their current methods. By using the guidance provided in the research paper, organizations can identify if their defenses rely on obfuscated gradients, and if necessary, switch to more robust methods. Whatsoever then he removes out of the state that nature hath provided, and left it in, he hath mixed his labour with, and joined to it something that is his own, and thereby makes it his property. It being by him removed from the common state nature hath placed it in, it hath by this labour something annexed to it, that excludes the common right of other men: for this labour being the unquestionable property of the labourer, no man but he can have a right to what that is once joined to, at least where there is enough, and as good, left in common for others. Useful passage to point out the tension between "Civic virtue and the responsibility to the greater good (see end of passage) vs. individual property rights. Useful to frame discussions re: natural parks, utilitarian vs. preservationist perspectives on environmental policies, taxation policies & burdens, entitlements etc etc. From this time I understood the words abolition and abolitionist, and always drew near when that word was spoken, expecting to hear something of importance to myself and fellow-slaves. "All that I know I have stolen" (1063). When you post User Content to the Service or otherwise submit it to us, you hereby grant, and you represent and warrant that you have the right to grant, to Genius an irrevocable, perpetual, non-exclusive, transferable, fully paid, worldwide license (with the right to sublicense through multiple tiers) to use, reproduce, publicly perform, publicly display, modify, translate, excerpt (in whole or in part), create derivative works of, distribute and otherwise fully exploit all Intellectual Property Rights in and to such User Content for purposes of providing, operating and promoting the Service or otherwise conducting the business of Genius. This is definitely not the case. Even in private groups would it ever make sense to say this? Or do we really even own ideas? ), and why we would even fuss about ownership might suggest an attachment of monetary value to the shared thing. Or is it really about wanting to get credit? Can we get credit without staking ownership? I think credit has a lot to do with it. Also, feeling like you "own" your idea is largely cultural. We live in society where just ideas alone are sellable (corporate world especially). We have been taught since college that you do not amount to anything without ideas even though your ideas are built upon ideas of others, we do not teach that kind of connectivity, we do not teach "collective knowledge." What we do teach is publishing a paper and copyrighting it. One of the most prominent questions I have from faculty I work with in regards to creating a public professional ePortfolio is "What if someone copies, steals my idea or paper?" and "How do I make it so that only particular people can see it?" I am sure stealing does happen because there is a lot of pressure in academia to "generate" ideas. And I am also thinking that publishing your copyrighted idea in a peer-reviewed or any other academic publishing instance gives your work "validity." But if the mind set we build in our students is ownership-oriented how can we expect anything else? Just like that.. Knowing what kind of bond you can form with a horse, I'd be extremely upset if someone were to take one away that I'd had since I was a child just because they wanted it. Sec. 15-7. - Injuring or defacing library property. Whoever willfully injures or defaces any book, newspaper, magazine, pamphlet, manuscript, or other property belonging to the city library by writing, marking, tearing, breaking, or otherwise mutilating shall be fined as provided in section 1-8. (Code 1964, amended, § 19.19(A)) Cross reference— Damage to public property, § 17-26. State Law reference— Criminal mischief, V.A.P.C. § 28.03; reckless damage of property, § 28.04. Third, there are valid concerns about some aspects of GE agriculture, such as herbicides, monocultures, and patents. But none of these concerns is fundamentally about genetic engineering. Totally. Whenever I end up in conversations about GMOs I steer the conversation toward monoculture and intellectual property. These are issues I have concerns about and I think the labeling wars are hurting our chances for useful dialog here. I don't want labeling. I want biodiversity. Both of these works, she says, specifically sought a lawsuit from the estate of Margaret Mitchell. Gone with the Wind in the public domain? Will Peter Pan never grow up? I'm curious why this term/concept need to be invoked to value informal student writing? If we clear a path to the creation of compelling electric vehicles, but then lay intellectual property landmines behind us to inhibit others, we are acting in a manner contrary to that goal. The innate qualities of intellectual pr operty, however, in combination with INTELLECTUAL PROPERTY: POLICY FOR INNOVATION 15 strong economic motivations have led U.S. intellectual property policy to operate according to rights - based, non - utilitarian theory, possibly as a result of lobbying (capture theory). Lobbying has led to a rights-based non-utilitarian theory copyright policy in the US at the present time (2014). The U.S. social contract establishes a utilitarian basis for protection of intellectual property rights: protection as a means of encouraging innovation. The social contract of the US Constitution provides a utilitarian basis for protection of intellectual property rights. Both positive and negative effects stemming from intellectual property rights to the wider populace are diffused, thus the wider populace has little motive to oppose changes to laws and policies that support intellectual property. On one hand, there are infinite ideas, and so the taking of one idea as private property clearly leaves “enough,” and debatably “as good” for others (Locke, INTELLECTUAL PROPERTY: POLICY FOR INNOVATION 8 1690, Chap. V, Sect. 27). This statement seems to me a stretch-- a very far stretch. What does it mean to have "infinite ideas"? And how do you arrive at the judgments "enough" and "as good" here? Ideas don't exist in isolation; they are not individual fruits to be plucked from the world of thought. Ideas are built upon other ideas. They are embedded within each other, juxtaposed one next to the other, stacked, remixed; varied one from the other, sometimes as a derivation, sometimes an inspiration. And in the face of this, what is the notion of "creation"? Given a certain base of knowledge, there are some natural next steps that can be built from those basic building blocks. Here we have to disentangle the notion of discovery from creation. I think maybe that, in part, is the notion of patents vs copyright, but in the land of software we seem to have a tangled mess. Here, there is disagreement about whether intellectual property violates the Lockean Proviso. Does the notion of intellectual property violate the Lockean Proviso? The limit of any property rights that can be claimed in this manner are defined in the ‘Lockean Proviso’ which states that the aforementioned process of establishing private property only operates “when there is enoug h, and as good, left in common for others” (Bogart, 1985, p. 828; Locke, 1690, Chap. V, Sect. 27). This is understatement to be sure, but the debate has been principally between two theories: a utilitarian policy theory, and a rights - based , non - utilitarian property theory (Long, 1995, n.pag.) . The debate in intellectual property law has centered around utilitarian policy theory and a rights-based non-utilitarian property theory. Article I, Section 8, Clause 8 makes copyright and patent law possible. This paper establishes cause to suspect that current intellectual property policy overstep s utilitarian justification, and suggests that a clearer distinction should be drawn between the proper role of U.S. law in intellectual property (that which promotes innovation) and moral questions of creator’s rights. The U . S . Co nstitution firmly grounds the proper role of intellectual property policy as utilitarian . Identify where/how this ground is established. inasmuch as coming to own intellectual property is often tied to being well-educated. If people become increasingly progressive with increasing education, intellectual property confers economic power on men and women of talent who generally tend to reform society, not because they are haphazard Burkian goblins, but because they have well-informed convictions. Intellectual property may be a liberal influence on society. The breakthrough patent that produces a Polaroid company is more the exception than the rule. The rule is the modestly successful novelist, the minor [*292] poet, and the university researcher -- all of whom may profit by licensing or selling their creations. In the final analysis, intellectual property shares much of the origins and orientation of all forms of property. At the same time, however, it is a more neutral institution than other forms of property: its limited scope and duration tend to prevent the very accumulation of wealth that Burke championed. One cannot call the history of intellectual property a purely proletarian struggle. While ancient Roman laws afforded a form of copyright protection to authors, n14 the rise of Anglo-Saxon copyright was a saga of publishing interests attempting to protect a concentrated market and a central government attempting to apply a subtle form of censorship to the new technology of the printing press. One cannot call the history of intellectual property a purely proletarian struggle. But this is only part of the truth. Much intellectual property is produced only after considerable financial investment, whether it be in the research laboratory or in the graduate education of the scientist using the facility. Intellectual property is more egalitarian than property in that anyone may obtain it for limited duration, however that is only part of the truth, and in practice it is more likely that most intellectual property is produced only after considerable financial investment.